This is a phat Massive patch. It has a great balance between clean and dirty content. It bites hard, releases smoothly, and gives you a carefully chosen range of control over some really effective parameters. In the examples below, you will hear these parameters being automated gradually. You may find yourself using this sound in a variety of EDM styles. I hope you have as much fun customizing and contextualizing it as I did. The generative modules in this patch are 2 oscillators. The first, a “Modern Talking” waveform, provides the main vocal-like timbre. As you can see, it is significantly hotter in the mix of oscillators than the second. The second oscillator is the fundamental tone, a hybrid of a sine and square wave dropped down an octave. They are both sent to filter one entirely. The serial low pass filter has a pretty low cutoff frequency. At first you may think the cutoff is too low – but since it is “enveloped”, it is actually set to the frequency that the envelope will decay to after a trigger. The filter drive is turned up just a little as well to exaggerate the modulation of the parameters. Amp: a pretty standard ADSR shape. 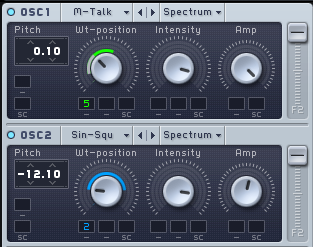 Mod 1 —> OSC2 Wt-position: to sweep through the harmonic content of the second waveform. Mod 2 —> Filter 1 cutoff and resonance: provides “bite” to the attack and tames resonance for that moment. Low Frequency Oscillator —> OSC1 Wt-position: each bar, the control signal will modulate the wavetable position of oscillator 1 in a triangle contour, creating a cyclical “phasing” sort of effect. Performer —> Filter 1 cutoff: this module will have no effect unless Macro 2 is moved. When Macro 2 is all the way up, the performer will modulate the filter cutoff at full depth in a sawtooth contour at a sixteenth note rate. This creates that resonant pulsating sixteenth note groove you hear in my examples above. 4 voices in unison are used to create depth. With slightly different pitch and wavetable positions, the voices “beat” against each other, making the combined output seem to be moving. The pan position fader in this section spreads the voices across the stereo image, creating an even stronger sense of vastness. This Dimension Expander is like a fine-tuned chorus effect designed to make the source of the sound seem huge. Be careful with the parameters here. 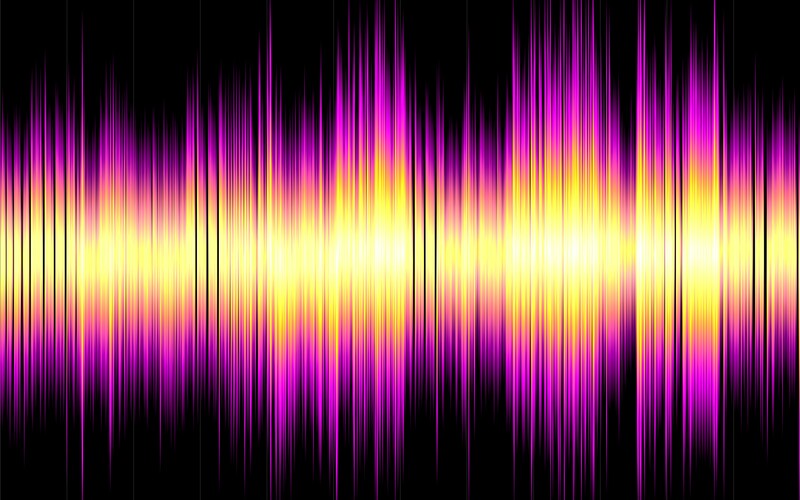 It should not sound like reverb or delay; rather, it should provide a sense that the actual source of the sound is getting larger. The Delay Sync unit in Massive is quite useful. Here I have used it to add a quickly dampened echo to the output. It is wise to keep the effect very dry – barely noticeable in the context of the track. As you saw in the images above of my oscillators and filter, there is some macro control set up in this patch. The first macro is controlling both the filter cutoff and the filter resonance. As Macro 1 is turned up, the filter cutoff will increase and the resonance will decrease simultaneously. It is mapped to the Mod Wheel CC (#1). The second macro is controlling both the phasing amount on OSC 1 and the stepper amount (the degree to which the stepper affects the filter cutoff). 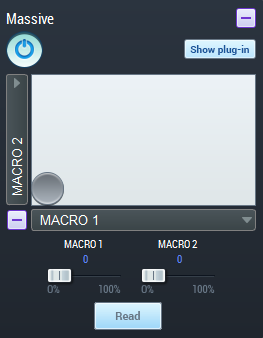 These two controlled parameters will increase simultaneously as Macro 2 is increased. Automation: both Macros have been “Read” to Lumit’s rack module for the instrument. Here or in the VST itself, you can record parameter changes over time. These are the parameter changes I drew in for my audio examples.